I haven’t spent much time online these days as I’ve been spending more of it on the water. And while I’ve discovered the ability to access several Wifi signals drifting unsecured around the area, if I’m aboard Annabel, I have other priorities. Such as digging out old bedding between the teak decking and resealing so, with any luck (we’ll see when it rains tomorrow,) the port bunk remains dry. Or removing the upper and lower helm pumps, to rebuild the first and replace the second. Or pondering the rate of drip on the stuffing box. Or contemplating the lack of water beneath the keel at low tide. 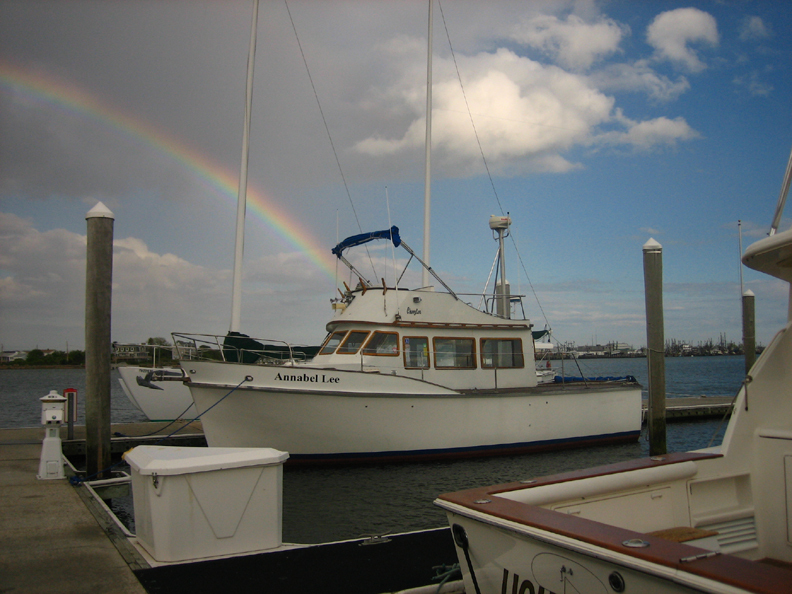 It’s a new moon, so low is especially low, at my dock roughly six inches lower than Annabel draws in the stern. Twice a day her transom sits somewhat elevated, and while it’s only mud below, and with a full skeg her prop and rudder are protected, I’m still not overly happy. Yesterday I decided to do some mid-tide prop-wash dredging. I fired up the engine, eased her into gear, and realized I was close to ripping the docks out. Back to neutral, and I tied her off to the pilings and sea-wall, then gave it another shot. Hopefully that flushed out a little room below. 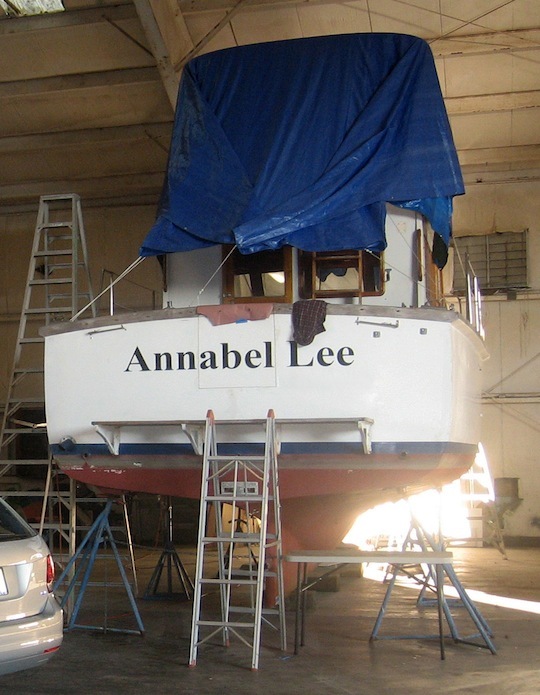 Posted in Annabel Lee, boat, happiness, humor, LEAKS!